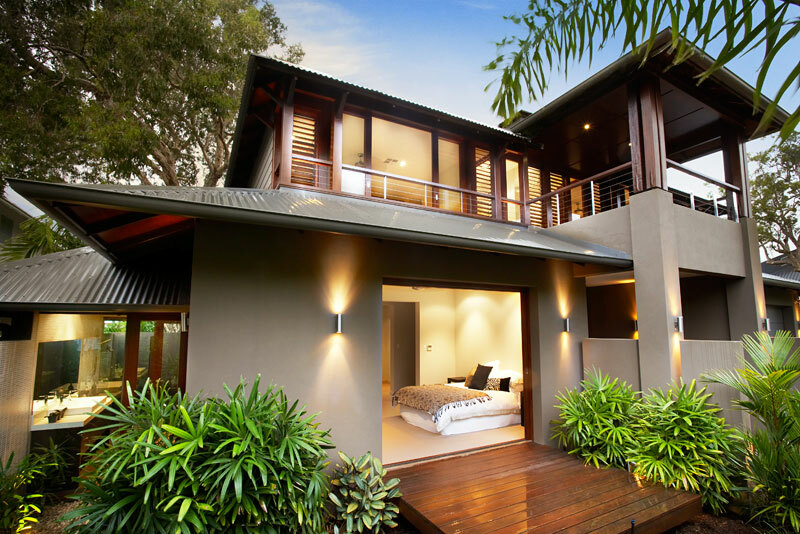 The client brief for this bold house on a steep site backing onto Parsley Bay Reserve was to create a comfortable family home that is also inviting to guests, with good flow between indoor and outdoor spaces. 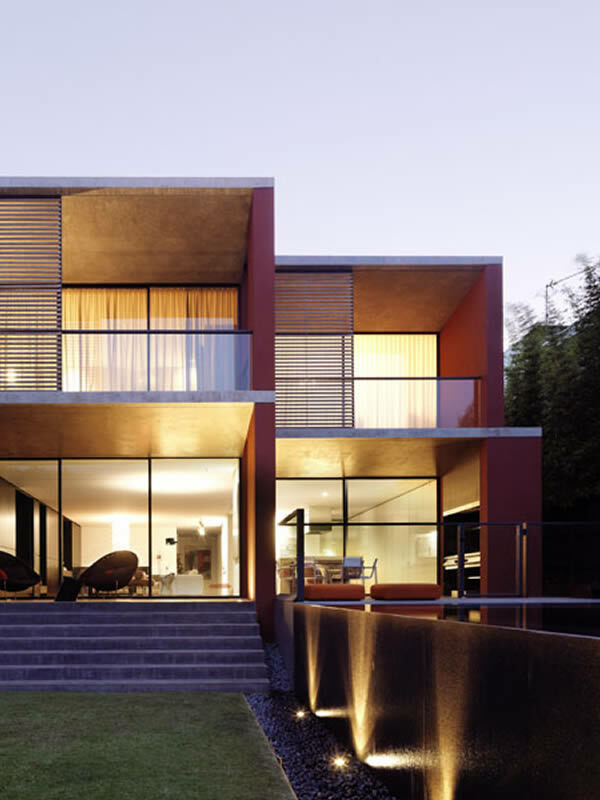 The cubic form of the two-storey house is a solid mass made of concrete floor and roof slabs into which is carved a void. 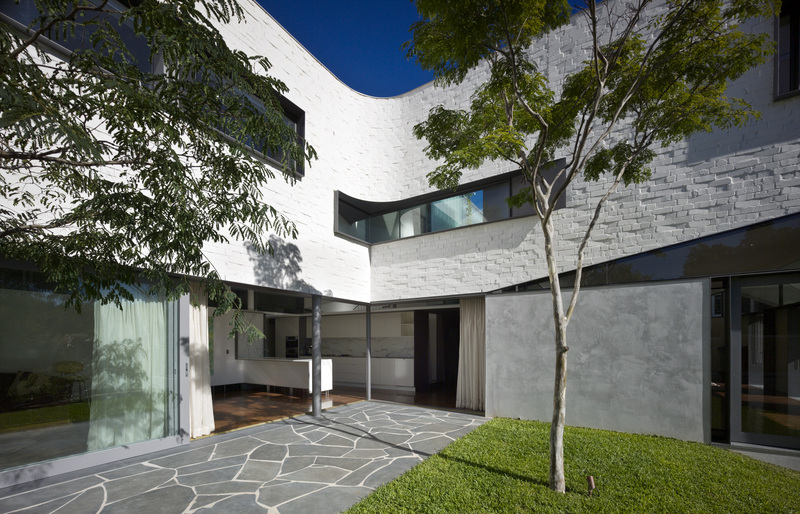 It references 18th century battlement structures, and exploits the thermal advantages of masonry for passive solar design. 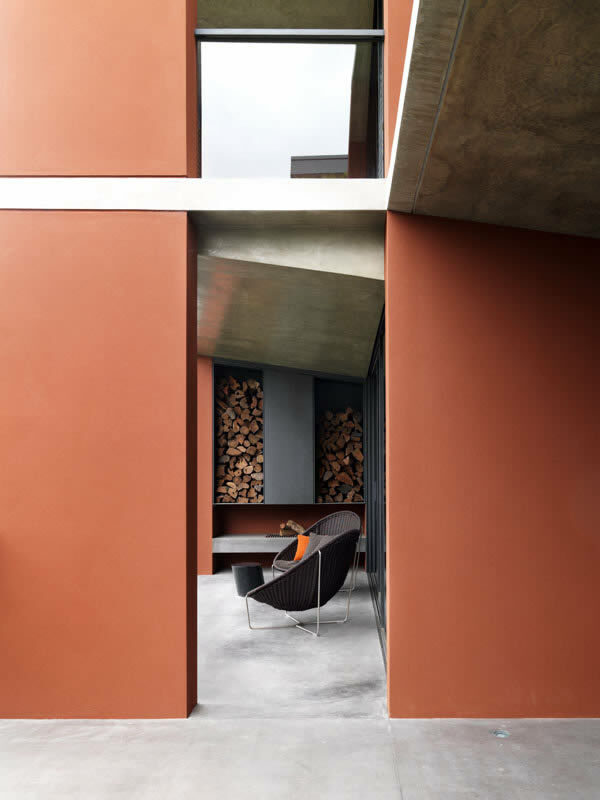 Outside, a deep red was used colour the concrete – like those of the Australian outback. 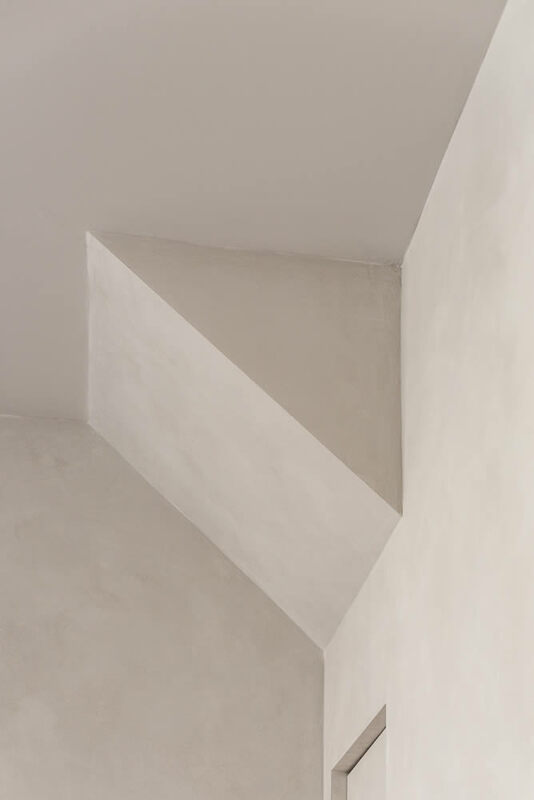 Murowash in Vital is the white paint used on the brickwork of the Garden House by architecture firm Durbach Block Jaggers. 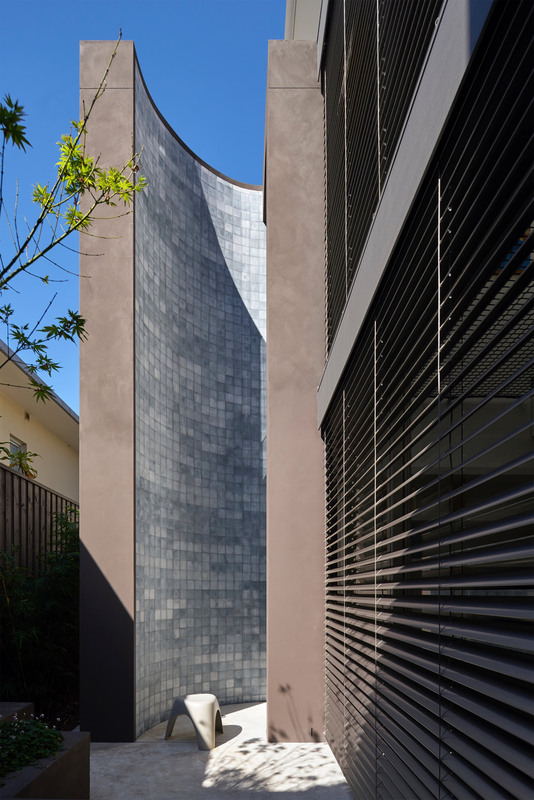 The curvy, L-shaped plan is a garden space, part of an extraordinary, Gaudi-esque design that won the firm a National Commendation for Residential Architecture – Houses at the 2011 National Architecture Awards. 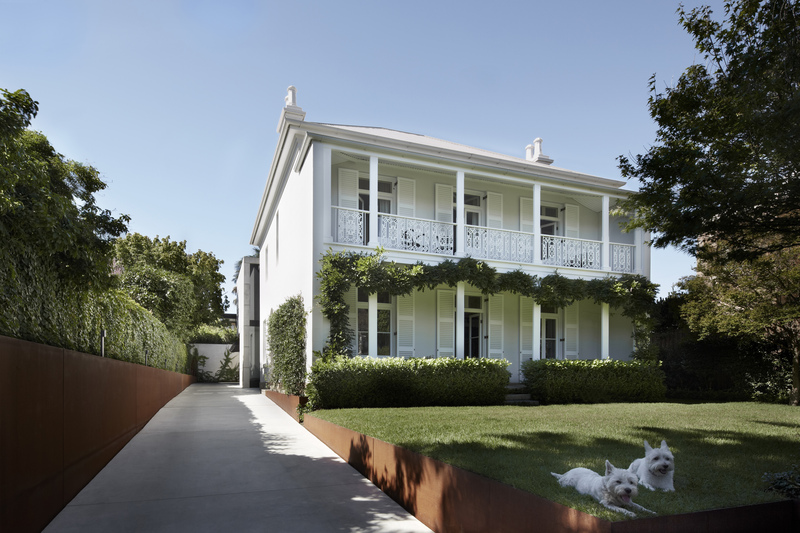 Photography: Peter Bennett. 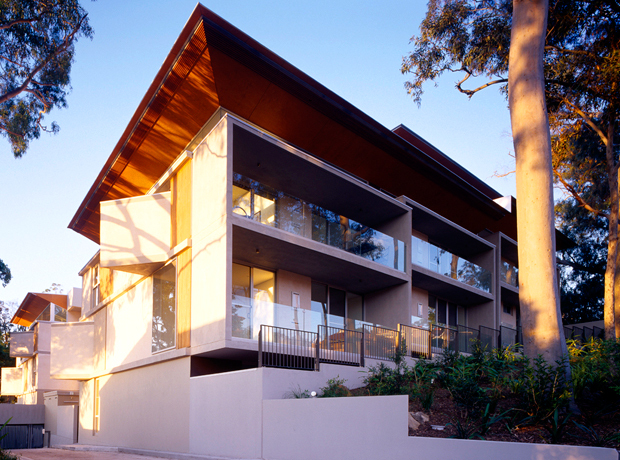 Murowash in Corsica was a stylish choice for the exterior of this house in Melbourne, offering great looking flat colour with a long lasting finish. 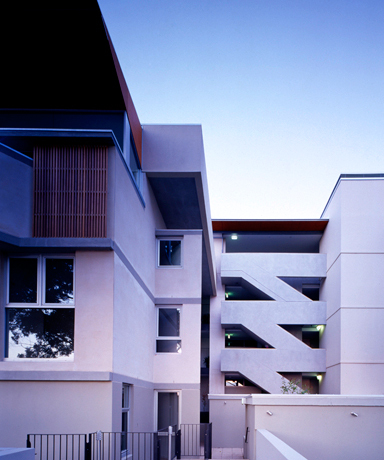 The exterior of Pindari Apartments in Randwick, NSW is painted in Murowash in Dry Stone. 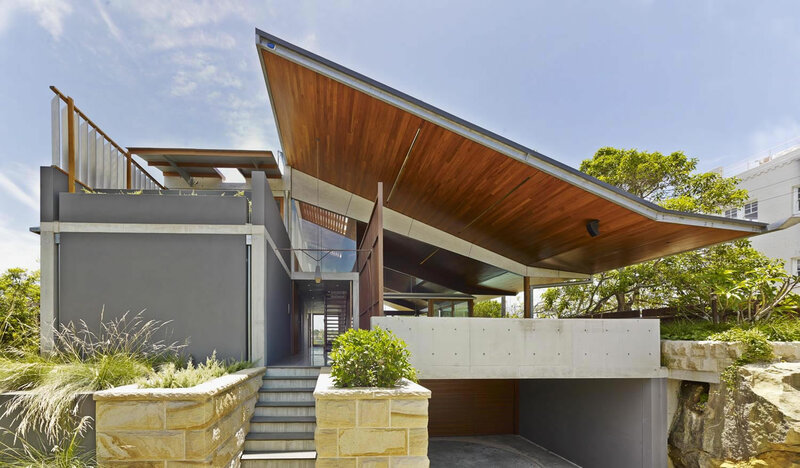 This versatile neutral colour complements Candelapas & Associates Architects’ use of natural materials such as wood, granite and sandstone, as well as the use of concrete seen throughout the complex. 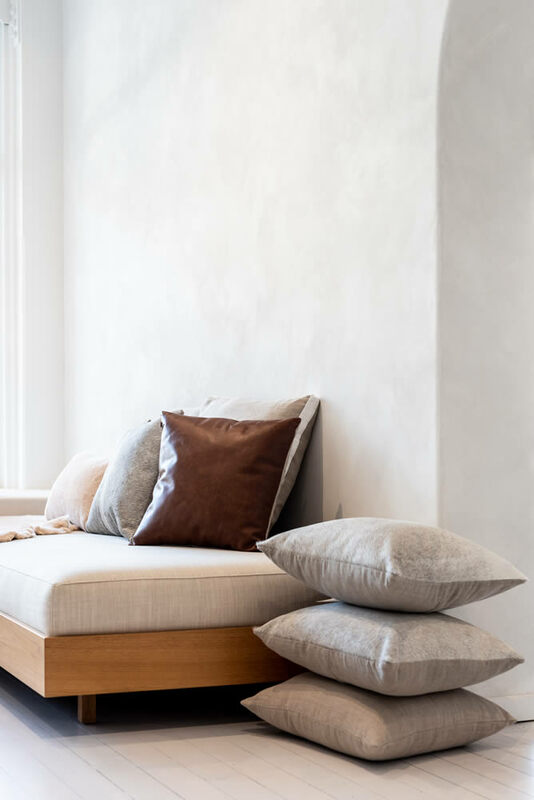 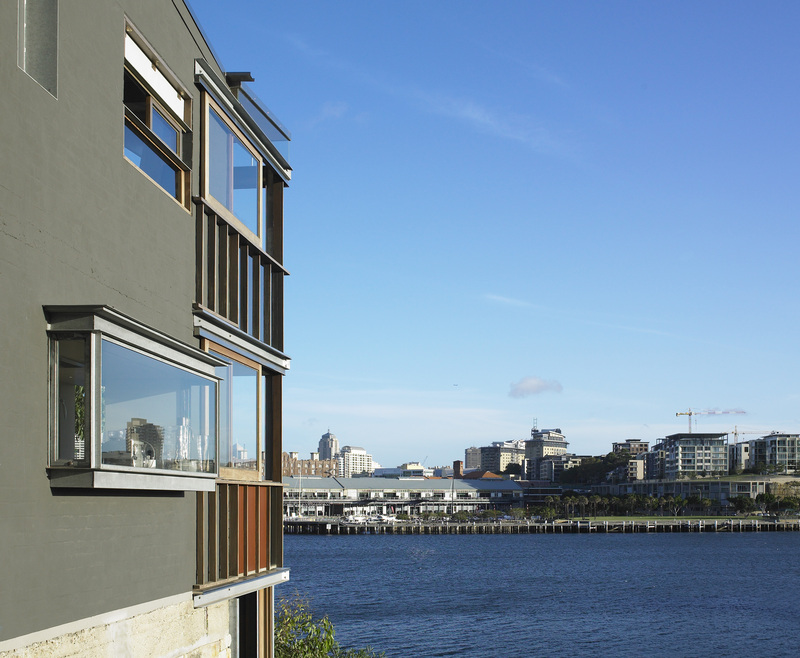 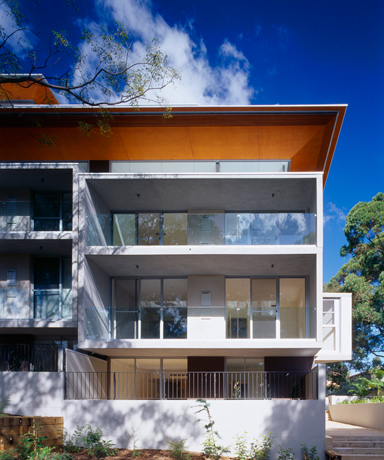 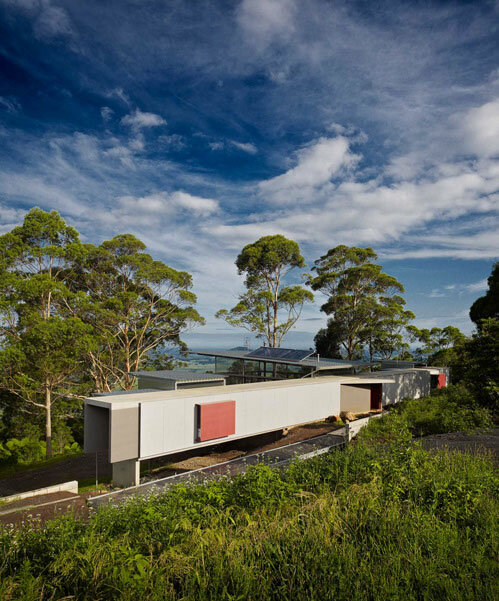 Murowash in Fossil was the paint chosen for this modern residence in Sydney, NSW by Tonkin Zulaihka Greer architects.